Now’s a great time to plan a vacation to Europe! Because the Hilton Honors Card from American Express and Hilton Honors™ Surpass® Card from American Express cards have limited-time highest ever sign-up bonuses. So you can get free award nights at Hilton hotels in lots of exciting European destinations! Plan a Trip to Visit European Countries, Including the Czech Republic. 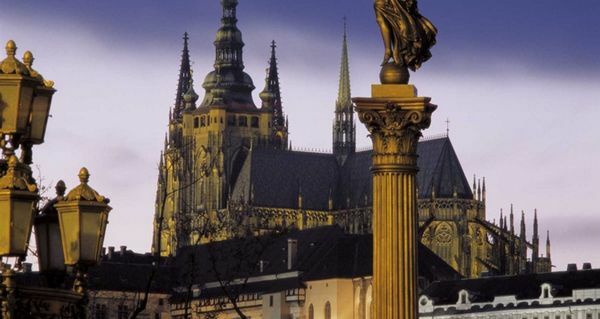 See Prague Castle – the Largest Ancient Castle in the World! Here are 5 European hotels where you can use your Hilton points for a getaway! Remember, American Express only allows folks to earn the bonus ONCE, per person, per lifetime, on ALL its cards. But these are considered different card products. So you can earn the sign-up bonus from both! As long as you haven’t had either card in the past. Hilton Has Lots of Brands You Might Already Be Familiar With, Like DoubleTree and Hampton Inn – and Some You Might Not Know Were Hilton Hotels! 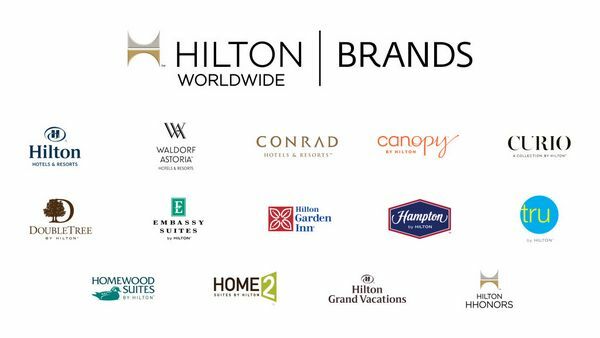 With ~4,600 hotels world-wide, Hilton is one of the largest hotel chains. So wherever you want to go, there’s probably a Hilton hotel there. Don’t forget to check out my posts on all of the ways you can earn Hilton points! And 5 Hotels in Europe where you can use your 2 weekend night certificates from the Citi Hilton Reserve card. 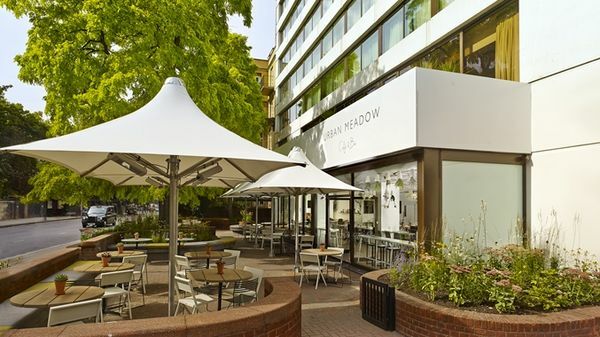 The DoubleTree by Hilton Hotel London – Hyde Park is a great choice if you’re planning a trip to London. I found rooms here in June 2016 for ~219 British pounds (~$319) or 50,000 Hilton points per night. Folks on TripAdvisor give it good reviews! And highlight the excellent location, large rooms, and fantastic English breakfast. And it’s just steps from Hyde Park! 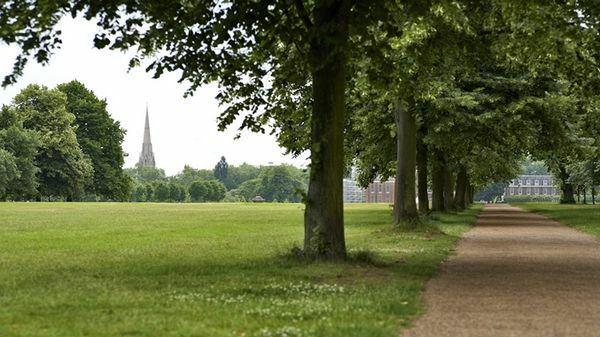 The perfect spot for a stroll. With the 100,000 Hilton point sign-up bonus from the AMEX Hilton Surpass card, you’d have enough points for 2 free nights here. That’s a savings of over ~$638! With the money you’ll save using your Hilton points, you’ll have more to spend on visiting London’s popular attractions! Dublin is one of the most popular destinations in Europe. 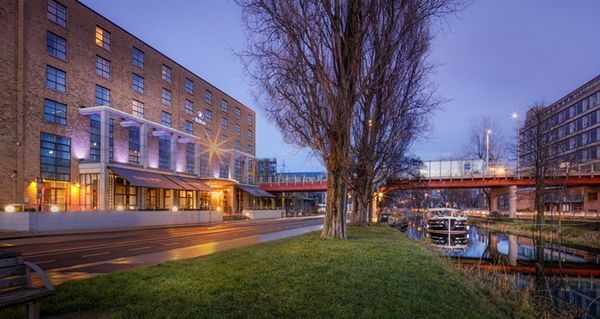 And the Hilton Dublin is a good option if you’re planning a trip! This Hilton Category 5 hotel has lots of great reviews on TripAdvisor. Reviewers like its central location, friendly staff, and comfortable beds. Rooms here cost ~368 euros (~$416) or 40,000 Hilton points per night in June 2016. Using 80,000 Hilton points here could save you over $800 for a 2-night stay! You’ll have at least 78,000 Hilton points after meeting the minimum spending requirements on the American Express Hilton Honors card. That’s definitely getting Big Travel with Small Money. And an excellent sign-up bonus for a card with no annual fee! 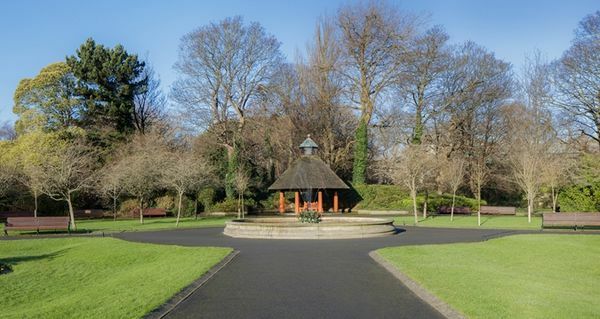 The hotel is also walking distance to St. Stephen’s Green and Merrion Square. And a short cab ride to Temple Bar, Dublin’s cultural quarter. You can use your Hilton points to stay at the Hilton Prague. This contemporary hotel sits on the River Vltava, the longest river in the Czech Republic. Folks on TripAdvisor like its convenient location to the city’s attractions, good food, and attentive service. It’s also ~2 miles to Old Town Prague, the city’s historic center filled with shops, restaurants, and ancient monuments to explore. One night at this Hilton Category 6 hotel costs ~8,117 Czech Republic koruna (~$339) or 50,000 Hilton points in June 2016. But rooms can cost as little as 30,000 Hilton points per night depending on the time of year. During the peak season, you can get 1 free night with the AMEX Hilton card’s 75,000 point bonus. And 2 free nights (50,000 points per night X 2 nights = 100,000 points) with the AMEX Hilton Surpass card’s 100,000 point bonus. And if you visit during the low season, you can get even more. Amsterdam is the most well-known city in the Netherlands. 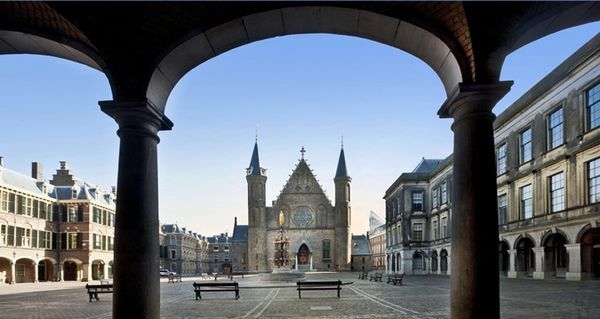 But The Hague is another interesting city to visit because of its historic landmarks. It’s home to the Dutch parliament and the Peace Palace, where the UN’s International Court of Justice is held. 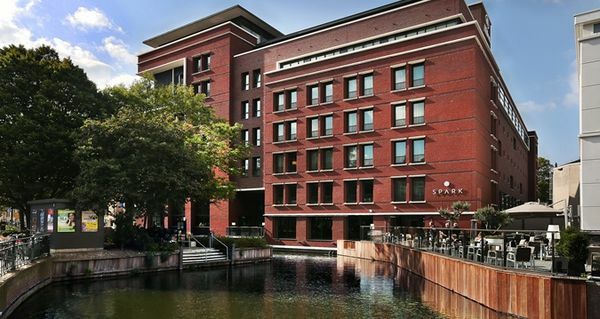 The Hilton The Hague is the perfect spot to stay. Because it gets almost all 5-star reviews on TripAdvisor. 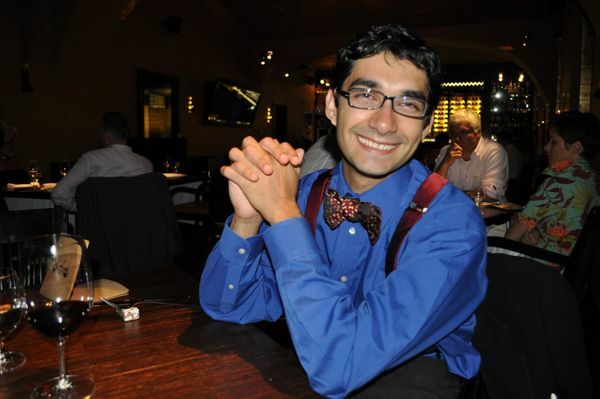 Folks love the helpful staff and convenient location. Rooms at this Hilton Category 6 hotel cost ~190 euros (~$215) or 50,000 points per night in July 2016. So you can get 1 to 2 free nights here with the AMEX Hilton card sign-up bonuses, depending on which card you sign up for. And 3 free nights if you sign-up for both cards! The Hague is only ~1 hour from Amsterdam and ~30 minutes from Delft, a city famous for its hand painted blue and white pottery. It could be a fun stop during your trip to the Netherlands! If you’re planning to visit Berlin, the Hampton by Hilton Berlin City West would be a great place to use your Hilton points. It’s a ~5 minute walk to the train station. And ~10 minutes to the Berlin Zoological Garden, the oldest zoo in Germany. I found rooms at this Hilton Category 4 hotel in July 2016 for ~150 euros (~$169) or 30,000 Hilton points per night. But in the low season, it’s only 20,000 Hilton points per night. You’ll also save money with free hot breakfast each day, which is included in the room rate – no elite status required! 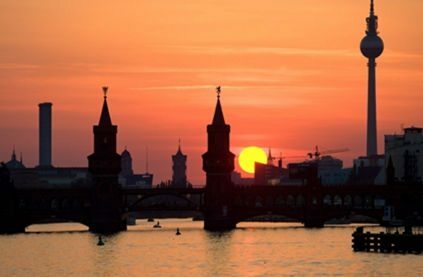 Use Your Hilton Points for 5 Nights at the Conveniently Located Hampton by Hilton Berlin City West and Get a Stay Worth ~$845 With 120,000 Hilton Points! So you’ll be able to get 2 to 5 free nights with the sign-up bonuses from either of the AMEX Hilton cards. Depending on when you visit, you’ll save between $338 and $845 toward your stay! That’s because you get the 5th night free on any award stay when you have elite status with Hilton (which comes with both AMEX cards). So 5 nights would only cost 120,000 Hilton points (30,000 points per night X 4 nights) in the busy season. And 80,000 Hilton points (20,000 points per night X 4 nights) during the slow season. 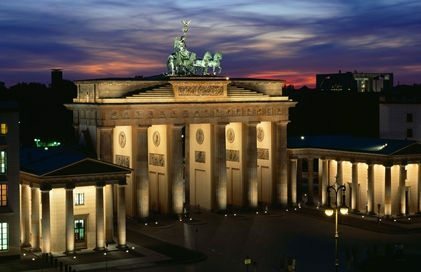 While you’re there, you could also visit the famous Brandenburg Gate. It’s only a ~15 minute cab ride or ~27 minute ride on public transportation from the hotel! If you sign up for either AMEX Hilton card and still need more points for your stay, read my post about all the ways to earn Hilton points! If you’re planning a trip to one of Europe’s popular cities, there’s likely to be a Hilton hotel! It’s worth signing-up for one or both of the highest-ever offers on the AMEX Hilton and AMEX Hilton Surpass cards. Because you’ll earn enough points for free nights at many fantastic hotels. 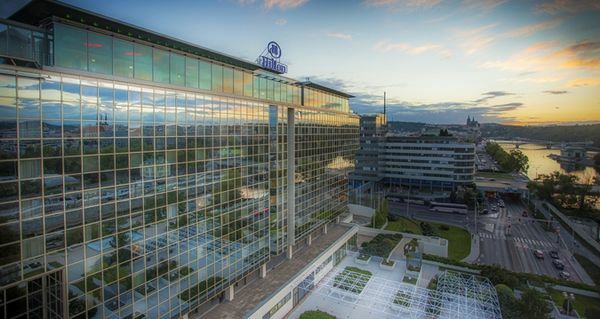 Stay at Hilton hotels like the Hilton Prague or the Hampton by Hilton Berlin City West. You can save hundreds of dollars with Hilton points – and be close to the action in popular European cities! Let me know if you’ve stayed at any of these hotels! @Tara – It’s best to wait a day between applications. AMEX generally won’t approve 2 cards in the same day, so be sure to plan ahead. Please confirm if one can sign up for both cards on the same day.